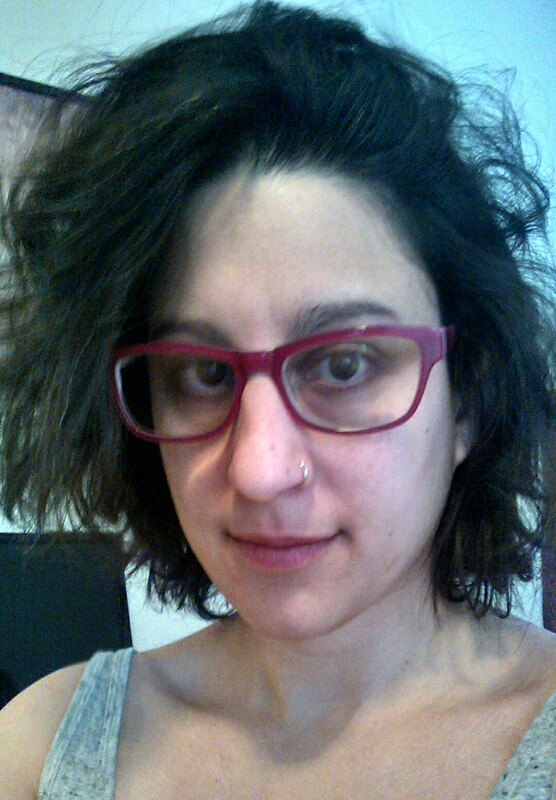 Sarah Meltzer lives in Chicago, where she organizes the Wit Rabbit reading series. She is still looking for the notebook she left by the Logan Square book depository some time in 2008. Her first print publication was a thank-you letter that appeared on the record jacket of a Raffi album, circa 1986. Two decades later, she received her MFA in fiction from George Mason University and now writes stories about breathing through small fires and large deaths. She is still looking for the notebook she left by the Logan Square book depository some time in 2008, and has been known to leave on tables love letters to people she doesn’t know. Two flash fiction pieces Sarah has recently read and admired are: Barbara Harroun’s Blood Proof published in Requited and Tim Horvath’s “The Other Work” in Wigleaf. To consider when submitting for Sarah’s week: “In fiction, few things are absolute dealbreakers for me. I’m not a fan of moralizing or of incomplete narrative sandwiched into tidy opening and closing lines. In the short-form, I think the first-person progressive is really difficult to pull off without turning language into distraction. There are always exceptions, though. Most of the big no-no rules are things authors already know; when I see anyone breaking these rules, I usually presume an intentional rebellion (whether or not it’s successful).